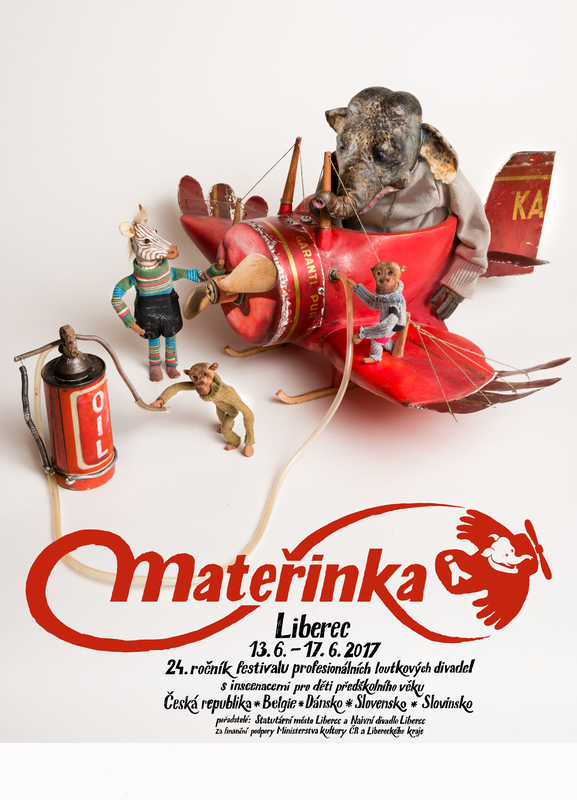 MATEŘINKA is a festival of professional puppet theatres; the only one in the Czech Republic that focuses on performances for little children. MATEŘINKA Festival has a long tradition dating back to 1972, when the first Czech national puppet festival was held in Liberec. The venue was (alternately ) the city of Liberec and České Budějovice. However, since 1991 Mateřinka Festival has been held every second year only in Liberec. MATEŘINKA is a competitive festival. At the end, the expert jury awards performances of individuals in the most successful puppet productions. Many foreign theatres are regularly invited to take part in the MATEŘINKA Festival. Specifically from Slovakia the National Puppet Theatre from Bratislava, the Crossroad Theatre from Bánská Bystrica, Vít Marčík´s Theatre, KBT Poprad, the Theatre PIKI from Pezinok, the Old Theatre of Karol Spišák from Nitra and Odivo Theatre from Banská Bystrica. Other guest theatres include: the puppet groups BIS, Banialuka and Panstwowy Teatr Animacji from Poland, the group Mukamas from Finland, Théâtre des Petites Âmes, the Theatre L´Illusion and Les Sages Fous from Canada, Theatre Triangle and Shadow Play Theatre KAKASHI-ZA from Japan, the Theatre Taptoe and De Spiegel Theatre Antwerpen from Belgium, the Figurina Bábszínház, Lavender Theater Cserkut, Vojtina Bábszínház Debrecen, Bóbita Bábszínház and Kabóca Bábszínház from Hungary, the Train Theatre from Izrael, the Kammertheater Neubrandenburg, Puppentheater am Meininger, Erfreuliches Theater Erfurt and Helios Theatre from Hamm from Germany, the Norwich Puppet Theatre from Great Britain, the Lutkovno gledališče Maribor and Lutkovno gledališče Ljublana from Slovenia, Figurentheater Margrit Gysin from Switzerland, Théâtre du Risorius and Theater Amalys from France, El Teatre de L´Home Dibuixat from Spain and Staffan Björklunds Teater from Sweden, Blik Teater SØnderho from Denmark.